Until today, little was known about the Harry Potter and the Forbidden Journey attraction that is part of the Wizarding World of Harry Potter at Universal Orlando Resort. 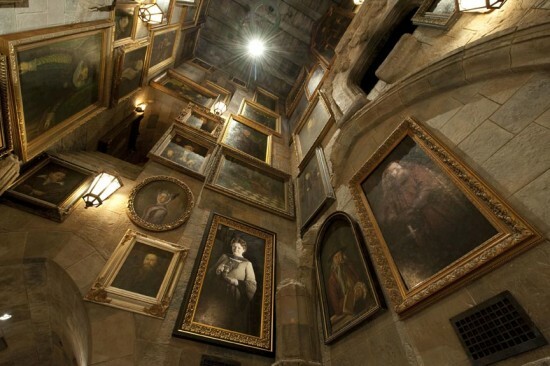 The photo below has now been released from within Universal’s enormous recreation of Hogwarts Castle, home to the Harry Potter and the Forbidden Journey ride. 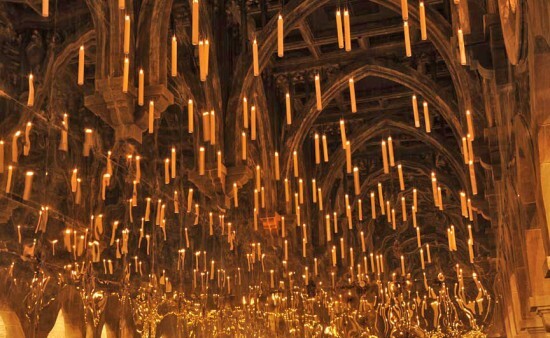 The photo depicts what appear to be hundreds of floating candles and will be featured in the Room of Requirement. If you look carefully at the photo (click to enlarge), you’ll notice that well-placed mirrors on the left side (and in the distance) create the illusion that the room is much larger than it actually is – and that there are hundreds more candles than there really are. 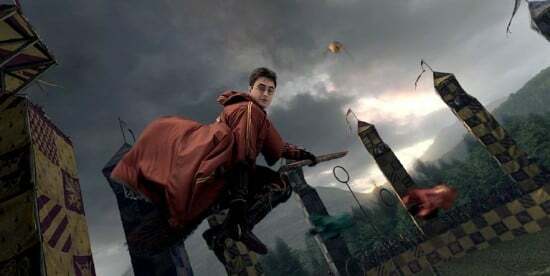 This screen shot from the Harry Potter and the Forbidden Journey ride shows Harry Potter (Daniel Radcliffe) riding a broom through a Quidditch game. Seen here is a hall of moving portraits, some of which will interact with guests. The Wizarding World of Harry Potter will hold its grand opening at Universal Orlando Resort’s Islands of Adventure theme park on June 18, 2010.